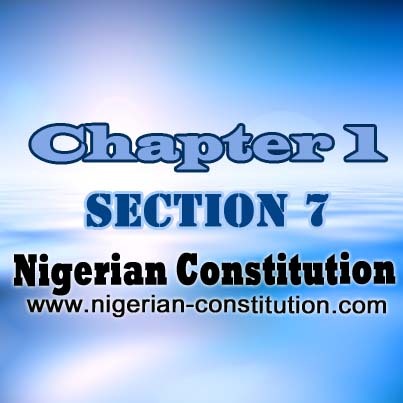 (1) The system of local government by democratically elected local government councils is under this Constitution guaranteed; and accordingly, the Government of every State shall, subject to section 8 of this Constitution, ensure their existence under a Law which provides for the establishment, structure, composition, finance and functions of such councils. (3) it shall be the duty of a local government council within the State to participate in economic planning and development of the area referred to in subsection (2) of this section and to this end an economic planning board shall be established by a Law enacted by the House of Assembly of the State. (4) The Government of a State shall ensure that every persons who is entitled to vote or be voted for at an election to House of Assembly shall have the right to vote or be voted for at an election to a local government council. (5) The functions to be conferred by Law upon local government council shall include those set out in the Fourth Schedule to this Constitution. (b) the House of Assembly of a State shall make provisions for statutory allocation of public revenue to local government councils within the State. Chapter 1. Part 2. Section 4. Legislative Powers Chapter 1. Part 2. Section 5. Executive Powers Chapter 1. Part 2. Section 6. Judicial Powers Chapter 1. Part 2. Section 8. New States And Boundary Adjustment, etc.